Spider-Man: Into the Spider Verse is a film directed by Bob Persichetti, Peter Ramsey, and Rodney Rothman. The trailers of the film excited me a lot (Of Course, its Spidey!) and I anticipated this film for a long time. After seeing it today, I was satisfied. 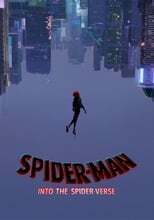 Plot: Miles Morales teams up with Spider Men and Women of different universes to take down Kingpin.